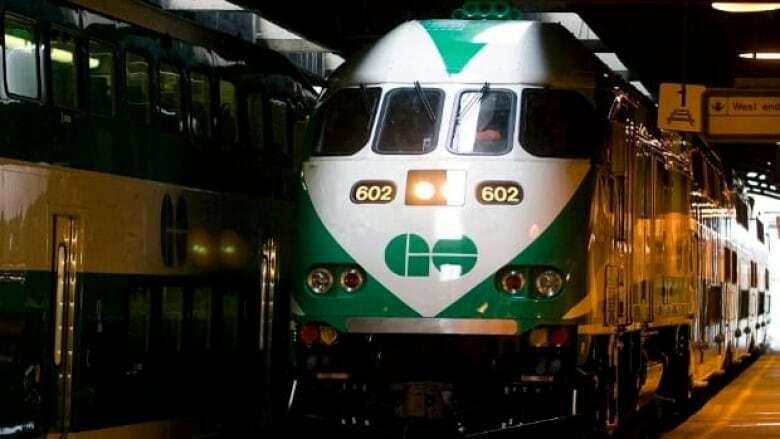 A report prepared by an external consultant for the Ontario Liberals before last spring’s election on the expansion of GO rail service suggests charging consumers up to $3 a day for parking. A report prepared by an external consultant for the Ontario Liberals before last spring’s election on the expansion of GO rail service suggests charging consumers up to $3 a day for parking, although the province’s transportation minister isn’t going to be implementing the recommendation anytime soon. First Class Partnerships, a transit consultant based in London, U.K., prepared the report and presented it in mid-April 2014 to the Ministry of Transportation, describing it as a “preliminary business plan” for upgrading GO rail. POLL: Should GO charge for parking at station lots? The report includes a number of suggestions on how to implement those upgrades, which include electrifying GO lines and bringing all-day, two-way service to the entire system. Among the areas studied by FCP is parking. Provincial transportation agency Metrolinx estimated in 2013 it spends about $100 million a year in capital investments to build parking. In order to recoup those capital costs, Metrolinx should start charging for parking, FCP's report recommends. FCP suggested charging $3 for the day before 9 a.m., or $1 for the day after 9. Currently some parking spots are available for monthly lease at GO lots, but the rest of the parking spots are free, and are taken on a first-come, first-served basis. Metrolinx estimated that 60 per cent of GO customers drive to a station to use the system, and the majority of those are solo drivers. As a result, over half of all GO lots are at or near capacity, and illegal parking is becoming a problem, according to a June 2013 Metrolinx report titled "GO Transit Rail Parking and Station Access Plan." Charging for parking is a move that Metrolinx president and CEO Bruce McCuaig has talked about as an option. FCP estimates GO could get complete cost recovery on building new parking facilities in 15 years by charging for parking. A report by the Neptis Foundation in 2013 suggests that GO could make $25 million annually by charging for parking. But according to Ontario Transportation Minister Steven Del Duca, charging for parking isn’t currently an option to generate revenue for Metrolinx. “In that particular report, that was one recommendation that came forward there, there have been other discussions that have occurred over the last number of years,” said Del Duca. When pressed, Del Duca said that there were no studies examining the effects for charging for parking currently taking place. FCP also recommending dropping off-peak fares by up to 25 per cent, to encourage ridership growth, while increasing peak fares by 10 per cent, a move the consultant claims would boost ridership and revenues and reduce peak crowding. “Again, that is part of the conversation generally speaking that we are having with Metrolinx, in terms of taking a look across all seven corridors about the best way to maximize the efficiency and the effectiveness of the service,” said Del Duca. And, the consultant suggests that the Lakeshore lines, both east and west, could be electrified in the next five years, and the entire system electrified by 2024, and that true two-way, all-day service can happen in the next ten years. Premier Kathleen Wynne has said that two-way, all-day service is possible in a decade, but Metrolinx CEO Bruce McCuaig has been more cautious about that timeline, saying there are challenges. Metrolinx has also not specified which GO lines would be electrified first, though UP Express is most likely, and work would still need to be done at Union Station first. But if Metrolinx is going to take any of the suggestions on board, it isn’t saying. 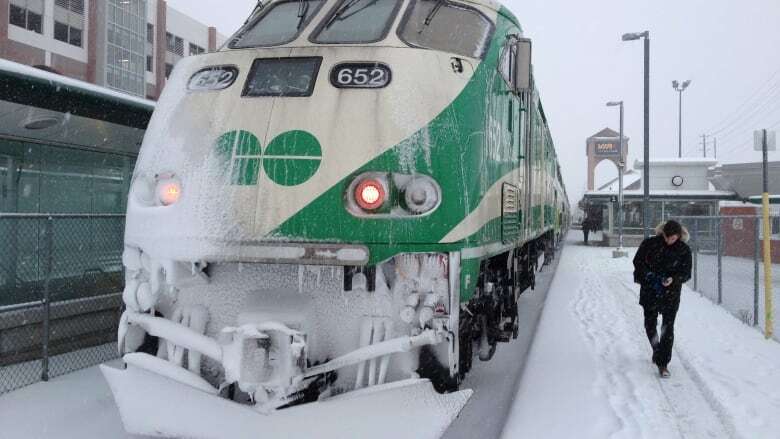 “It isn’t our report so it isn’t appropriate for Metrolinx to speak to it,” wrote a Metrolinx spokesperson in an email to CBC News, referring questions to the Ontario Ministry of Transportation, which commissioned the report. "I think it’s an interesting report, I think it’s an ambitious report, I think it’s great that it was commissioned, and you know it’s helped to an extent with respect to informing us on what we’re doing going forward," said Del Duca. He did say that the Ministry of Transportation will be coming forward with another update sometime in the next few months that will include information about the future of GO service expansion, including associated costs and how and when services changes will be made. 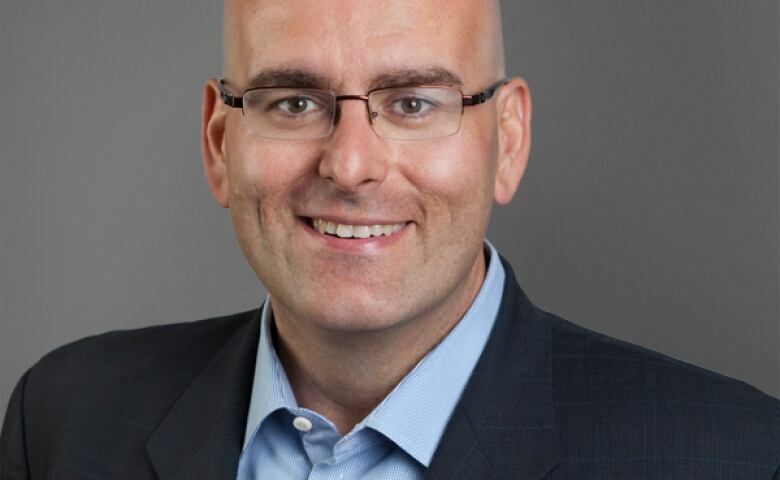 "I anticipate, I would say probably in the next two months we’ll be in a position to announce publicly a sense of what the implementation will look like," said Del Duca. Michael Schabas, the author of the FCP study, declined to comment on the report. FCP charged the ministry $86,250 for the report.